Are you unsure of which roof shingles are the best fit for your project? Are you uncertain of which fixings and flashings you'll need with your roofing shingles? Speak to our team online via the live chat in the lower right hand corner or call 01295 565 565. We will help you select the perfect shingles for your project and will ensure you have all the roofing materials you require. Roof shingles are an ideal choice for those looking to construct a shed or refresh their garden office. Due to their incredibly lightweight build, our range of felt and metal roof tiles are also suitable on pitches as low as 10 degrees. Unlike many other roofing materials, roofing shingles are wonderfully easy to install. This is due to them being lightweight and requiring few adhesives and flashings. Our included installation guides also provide you with a step-by-step guide to installing roof shingles. 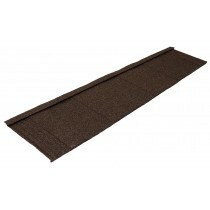 Our range of roof shingles include those from Coroshingle and Extralight. Each provide superb durability, with Extralight offering a 50 year guarantee for added confidence. Throughout their use, these roof shingles will protect your roof space and provide a gorgeous appearance. Have More Questions About Our Roof Shingles? If you have questions about our range of shingles, speak to our team by telephone or via the online live chat. With over 40 years of experience in roofing, we’ll help answer your questions about roof tiles. We will also help you pick the necessary fixings and flashings for your project. Whether you’re reroofing a shed or are upgrading your home office, roof shingles are an ideal choice. They utilise felt and metal to provide a lightweight roofing solution that’s incredibly easy to fit. All the while they provide a life expectancy of up to 50 years. There are, however, a few common questions our customers ask before buying these roofing sheets. Below are answers to each of these! Where Can I Use Roof Shingles? Due to their lightweight nature, roof shingles can be used on virtually any small roofing project with a pitch of 10 degrees or higher. They are a particularly popular choice for those who are reroofing a shed, constructing a garden building or refreshing their home office. What Are These Shingles Made From? Our range of roof shingles are crafted from either felt or metal, which are shown to withstand tough weather conditions whilst being easy to fit. They feature an attractive shingle finish, providing you with a rustic appearance on your garden building or home office. What is the Life Expectancy of Roof Shingles? These shingles could adorn your property for decades. Many of our roof shingles also provide a guarantee of 10 years, providing your with confidence in your choice of roofing materials. Which Brand is Best – Coroshingle or Extralight? Coroshingle and Extralight both provide incredible aesthetics. The primary difference between the two is lifespan and material. Whilst Coroshingle is crafted from felt and offers a 10 year guarantee, Extralight Shingles utilise metal and provide a 50 year guarantee. How Do I Fit Roof Shingles? 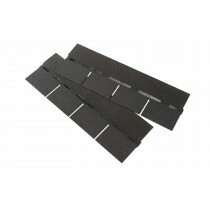 Fitting roof shingles is simple, with you requiring few adhesives and flashings to complete the job. We’ve written a guide on fitting roof shingles here and also provide installation guides for each of our roof shingles. If you have more questions about our roof shingles, speak to our team online or by telephone. With over 40 years of experience in roofing, we'll help answer your questions and will ensure you have everything you'll need to complete your roofing project.